ROME -- Actor George Clooney was taken to the hospital in Sardinia and released after being involved in an accident while riding his motor scooter on the Italian island Tuesday, hospital officials said. "He is recovering at his home and will be fine," Clooney spokesman Stan Rosenfield told The Associated Press in an email. The John Paul II hospital in Olbia confirmed Clooney was treated there and released after Tuesday's accident. 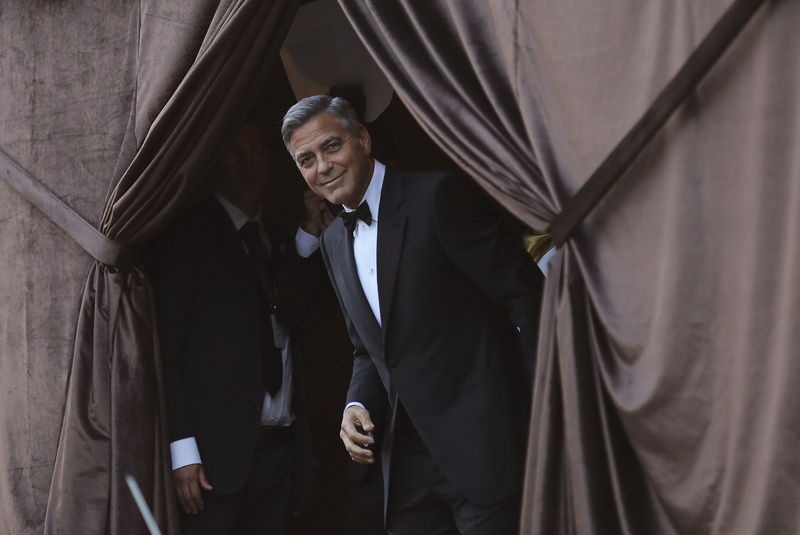 Local media representatives who had gathered at the hospital said Clooney left in a van through a side exit. Daily newspaper La Nuova Sardegna said the 57-year-old Clooney was heading to a film set a car hit his motorbike. The accident occurred near Costa Corallina, in the province of Olbia. BBC News reports Clooney was in Sardinia filming a television miniseries adapted from Joseph Heller's World War II novel "Catch-22." Clooney has a home on Lake Como, which is on the Italian mainland.